Why is the Fool such a Powerful Archetype? The inner-child in us is often the beginning of wisdom. 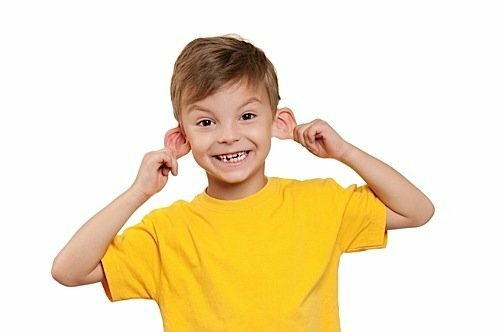 Letting the child flourish, play and act the fool is one path to mindfulness. Who is more mindful than the young child? Unlike grown-ups (or grumps, as they called them in the classic Star Trek series), the child doesn’t filter what he or she sees, hears, senses. If a child sees a fairy, he sees a fairy. We grumps know better. But the child sees, in Santa Clause, elves, angels and ghosts the wonder of a universe too big for adults to understand. We love others to be the fool. Rarely, do we allow ourselves to be seen this way. Yet, is the fool is the beginning of wisdom for those seeking to be mindful in their practice? 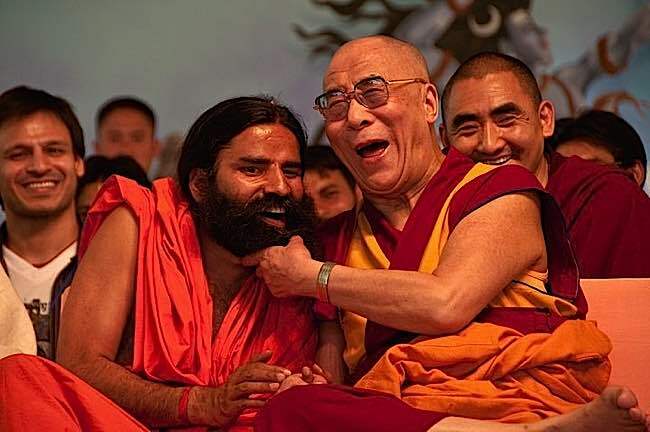 The Dalai Lama is famously playful during teachings, and is seen doing fun and funny things often in public. The Dalai Lama is intellectually brilliant, and a learned and wise teacher, yet public pictures of His Holiness nearly always show a beaming smile, a laugh, or even a playful prank. A playful mind, is a free mind. The Dalai Lama demonstrates happiness in his many public appearances. Photos of the Dalai Lama often feature him laughing. Culturally, we have always loved the fool. We love our comedies and comedians. Is this because laughter is important to life and living, or does the fool go beyond this important goal? Do we, as I believe, intuitively, see the innocence of the fool as a path to enlightenment? We are all born fools. We treasure our own childhoods, and we remember the simplicity of a time when we wonderingly looked at the world, imagined friends, played in the mud and chased a ball around and around.It’s easy to love your children, or any children. Children are treasures. Now, as adults and parents, we smile and find joy in seeing that simple perfection in every small child — and, perhaps, feel a sense of loss and longing for our lost childhoods. Many of us feel nostalgia, or even a need to recapture that bliss or joy and the life we had as a child — empty of a driving need to succeed, to acquire, to show-off and other attachments. In mindfulness, we may find a way back to the mind of a child. More importantly, from a tantric point of view, we may also recapture that pure bliss of our childhoods before we developed needs and attachments. The inner child may be a “map” back to the bliss and joy of childhood. 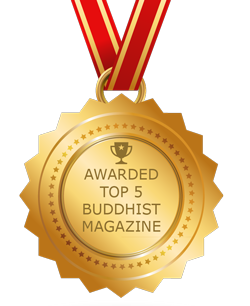 In Buddhism, mindfulness is a key practice. In Zen or Chan, another method is overloading the mind with unsolvable puzzles. In some ways, the opposite of mindfulness, the “koans” contemplation was a well-known method of pursuing enlightenment — a fool’s pursuit. Perhaps this is why zen monks (and monks in general) tend to have a wonderful sense of humor. Tibetan monks, of the Vajra way, also value laughter, jokes and humor. In child-fool mind and childish laughter may be highest wisdom. Monks and Buddhist teachers tend to laugh or smile frequently. 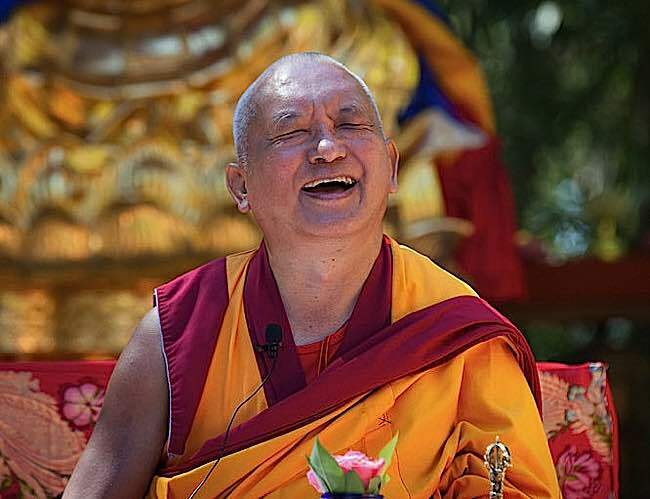 Lama Zopa Rinpoche laughing. History, as teacher, tells us the fool was important in every culture throughout history. Court fools and entertainers to kings and emperors were largely immune to criticism, and there are historical cases of fools influencing kingly decisions. Why is the fool such an important symbol in every culture. He is the central character in the Tarot deck where his spiritual journey through life was illustrated by the trumps of the major arcana. In Tarot, the fool was man, or self, or even ultimate wisdom. 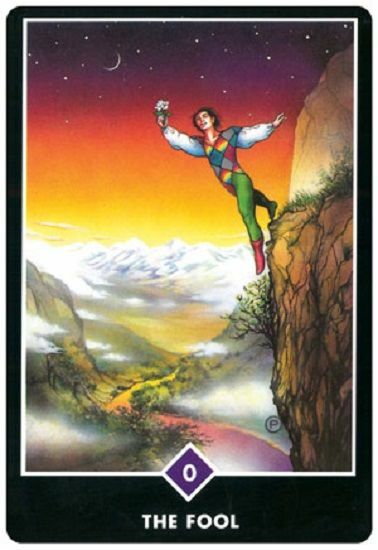 In the Osho Zen Tarot deck the Fool is classically depicted as dancing on the edge of a cliff, in a state of blissful contemplation. A fool is simple. The fool is fearless. Think of the court jester, mocking the king to his face. History does not record too many of these court entertainers going to prison for their antics. Is this because the king also found wisdom as he laughed at the mocking gestures of the fool? Thirteenth Zasep Tulku, H.E. 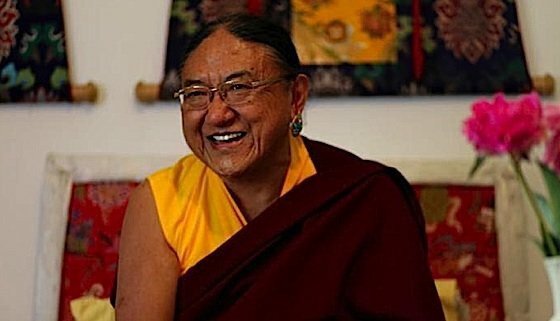 Archarya Zasep Tulku Rinpoche, like most highly realized teachers, often laughs and jokes. In the fool’s activities can be found a path to enlightenment, perhaps, through humor, simplicity or absolute courage. The archetype of the fool includes total fearlessness. The path to enlightenment certainly should embrace bravery, happiness and simplicity — at least to me. In the Christian story of Adam and Eve, they are both “innocent” until they partake of temptation and the tree of knowledge. This is a parable, in part, an echo of our own childhood, when we were innocent — the fool — until we partook of knowledge. With knowledge (which is not the same as wisdom) came clinging, desire, jealousy and the entire cycle of suffering. But as children, as fools, we didn’t understand or know about suffering. Even in the face of tragedy, children could cope better than most adults. What do the Dalai Lama and Patch Adams M.D. have in common? They both find wisdom in humor and the wise fool. In some ways, the pursuit of mindfulness is also the pursuit of the inner child, the innocence, the here and now, the stripping away of clinging and desire. Do we, in fact, seek to return to the wisdom of the child? Sadly, unhappiness requires no training. There is no suffering without knowledge. How can there be karma without a lack of innocence? 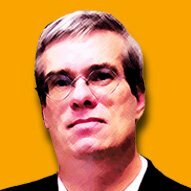 Is there a hell for young children? How can there be, when they live in innocence, without clinging? 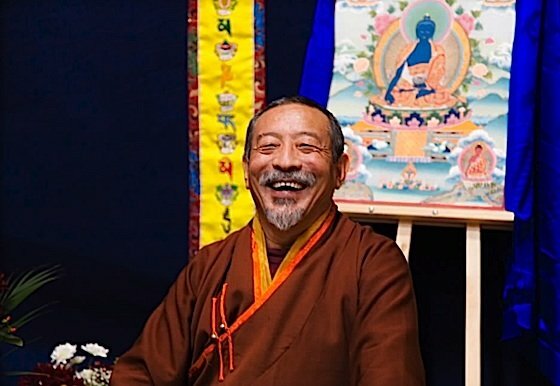 His Holiness Sakya Trizin enjoys a good laugh. The very young child trusts life and has no fear. Only a parent’s fear keeps the young child safe. Everything seems wondrous to this child, from the frog in the pond to the muddy puddle he just splashed through. There isn’t real unhappiness until the child learns desire. The first time a child cries in the aisle of a Walmart — because his/her mother said “no!” to buying a candy — the innocence starts to slip, the craving has begun. Through mindfulness training, experiencing life without fear and in the moment, we can recapture some of that inner fool-child. I’m probably over stating this, and being overly simplistic — am I a fool? 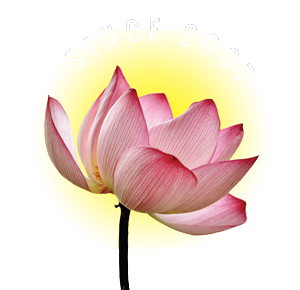 — but I tend to believe mindfulness training, putting trust in the guru and even ritual tend to help us release the inner fool — the wondering, open, accepting, mindful child-mind that can help us develop genuine insight. When I meditate, at any rate, I try to recapture the fool. I try to foster fearlessness, innocence and wonder first. Veterinarian’s Suicide with Animal Euthanasia Drugs a Protest Against Animal “Mercy” Killings: What Do Buddhist Teachers Say About Animal Euthanasia? Quiet and space for your practice: ultimately, we need only our minds — but a quiet, dedicated meditation space at home can enhance Buddhist practice.